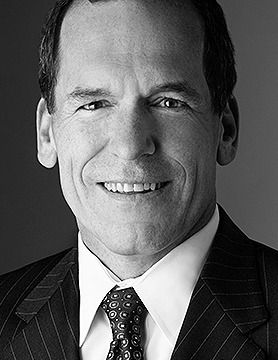 Pete is an Executive Vice President and a member of Northern Trust’s Management Group in Chicago. Pete currently serves as the President of Corporate & Institutional Services business unit. Northern Trust’s C&IS business unit is a leading provider of asset servicing, investment management, banking and related services to institutional clients worldwide including but not limited to corporate and public pension funds, sovereign wealth funds, supranational organizations, investment management firms, foundations and endowments, healthcare organizations, insurance companies, and other financial institutions. An industry veteran, Pete brings over 25 years experience in working in a global organization and managing extremely large and complex client relationships. Pete originally joined Northern Trust in July 2007as Head of Institutional Product and Strategy. Prior to joining Northern Trust, Pete served in various executive and lead operational roles at State Street Bank. Pete received his M.B.A. degree from Suffolk University in Boston, Massachusetts and his B.A degree in Political Science, Legal Studies and Soviet Studies from Brandeis University in Waltham, Massachusetts. Pete currently sits on the Board at National Louis University and happily sponsors Urban Initiatives, an organization for children in underserved communities within Chicago.